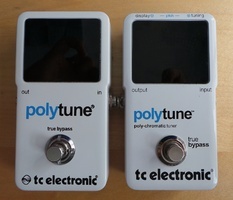 The differences between both versions can be counted on the fingers of one hand: we are dealing here with what seems to be much more of an update rather than an actual 2.0 version. The new screen is certainly brighter, especially the green LEDs, which will be much more visible under the spotlights on a stage. 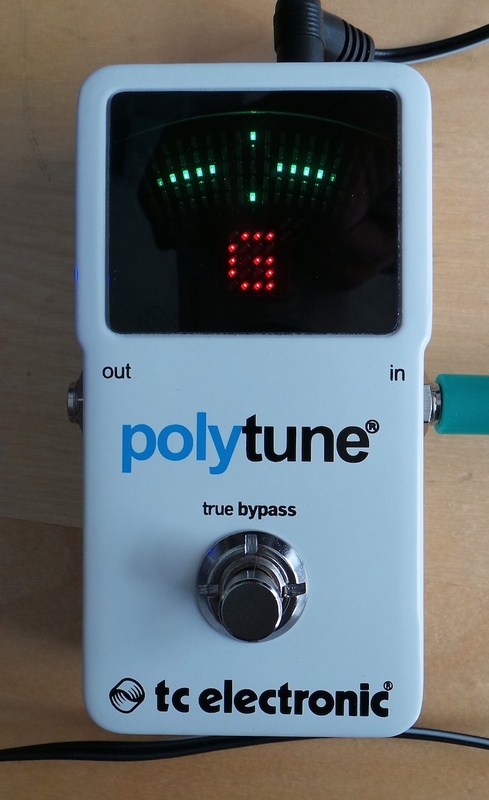 The switch also seems to be a bit better, a bit higher and not as hard, which makes it easier to activate the tuner. 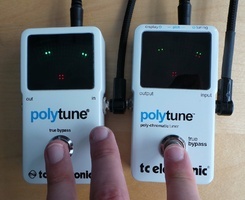 The new stroboscopic mode includes now a (small) needle (LEDs above and below the caterpillar-like indicator). Some of us will find that practical, while some might think it is needlessly sophisticated and only clutters the screen. 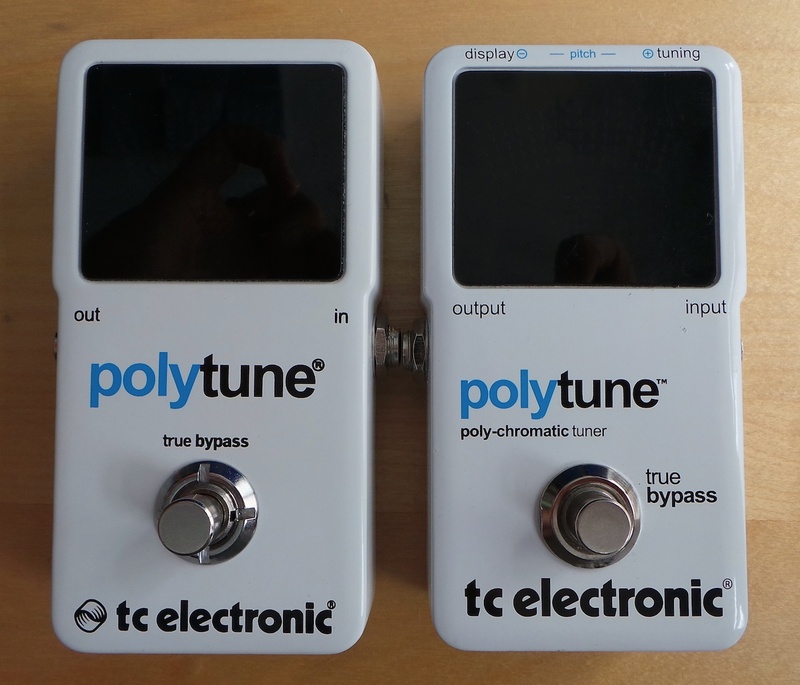 We didn't really notice any difference in terms of precision using either the old or the new tuner models. 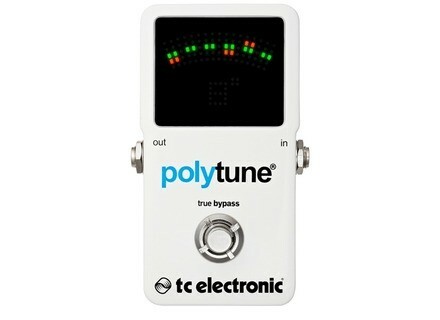 We love the open and capo tuning ─ which, don't forget, are also available on the old version thanks to an update ─ but we regret the fact that they are still difficult to access via the (very tiny) button located on the rear of the pedal. 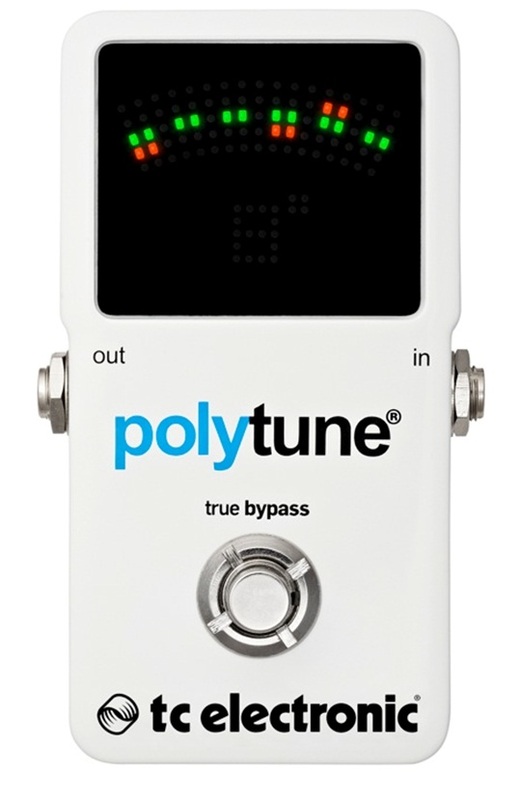 Is this version 2 better than the original Polytune? 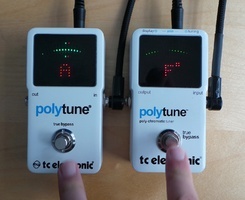 Undoubtedly, and you shouldn't hesitate between the two models if you are planning to buy a polyphonic tuner. If you already have an original Polytune, you'll have to assess the (not so many) benefits provided by this new version: a slightly higher and softer switch, a new stroboscopic mode with a tiny needle, and especially a brighter display that is much more comfortable to use under the lights on stage. 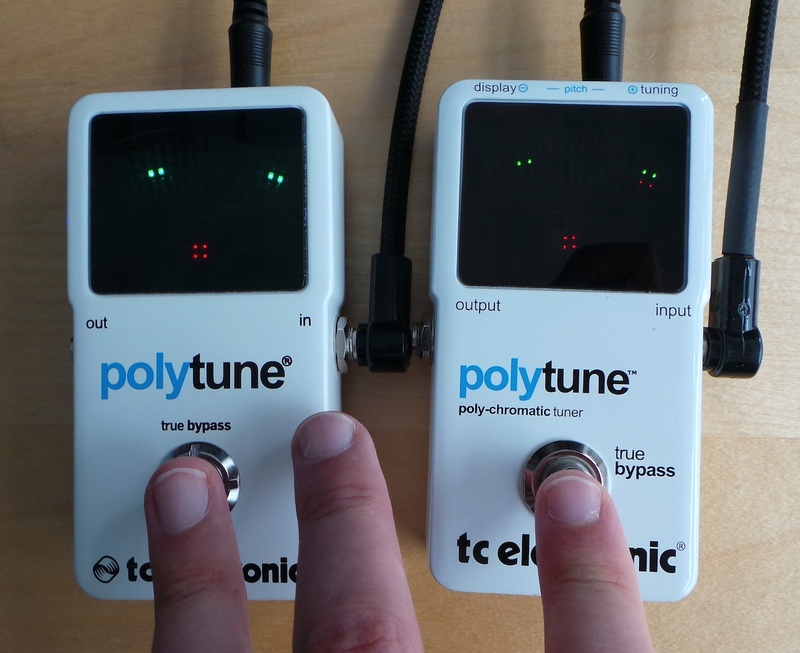 That said, we are still waiting for a super Polytune that provides access to open tuning presets, via a second switch: maybe for Polytune 3?